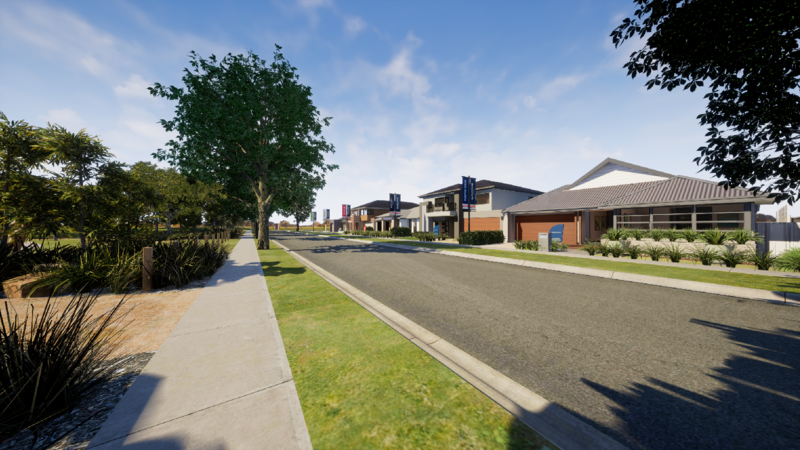 Villawood Properties’ virtual reality tour of Rathdowne community will allow customers to walk down virtual streets, thoroughly inspect hi-res, cutting-edge homes, and pace out land sizes. A two-storey design by Dennis Family Homes. A house designed by Eight Homes. A home by Simonds Homes. In a world first, Villawood Properties had developed a virtual reality display village, enabling hopeful home-buyers to tour the streets and inspect homes in a computer-generated three-dimensional world. The technology has been developed for Villawood Properties' cutting-edge Rathdowne community in Wollert, one of Melbourne’s newest suburbs, in a collaboration with five of Australia's most progressive builders: Porter Davis, Nostra Homes, Dennis Family Homes, Simonds, and Eight Homes. Villawood Properties executive director, Rory Costelloe, told WILLIAMS MEDIA, that Villawood Properties developed the trailblazing technology with younger home buyers in mind. "With the younger generation of homebuyers coming through, most things they engage with are screen based. So to capture that audience, VR was an obvious next step," he said. Villawood expects that the VR tours will make it much easier and quicker for homebuyers to decide which home is best for them. "It can take up to 18 months from the land becoming available through to a physical display village opening in the community," said Costelloe. "The virtual display village means homebuyers can consider the home they will build concurrently with the land they buy when they visit our Rathdowne Sales Office," he said. “Through the virtual display village, we can give customers better guidance around the size and type of home suitable for their block of land," he said. The technology is particularly useful for greenfield sites. "Particularly in the greenfields space, a virtual display village provides an opportunity to give an immersive demonstration of the future landscape of a community," said Costelloe. "A display village in the physical world can take years from planning to delivery; a virtual display could be completed in a much shorter time frame and for a fraction of the cost." Click here to find out more about the launch of the virtual-reality display village. Another benefit of the technology is that builders have a low-cost way to offer buyers a larger range of homes. "The virtual display village also encourages innovation and creativity," said Costelloe, "presenting builders with the opportunity to showcase a diverse range of designs as there is less financial risk associated with developing virtual home designs. Image: Virtual-walk the street's of the Rathdowne community. Supplied by Villawood Properties. But will the VR technology provide enough detail to make customers comfortable enough to purchase a new home? "The result is the closest comparable experience to walking around a physical display village," said Costelloe. The VR village has been built using very high-resolution computer-generated imagery (CGI) and the experience is fully immersive and 100 per cent explorable. "The developers have worked closely with their builder partners to finesse every detail of the homes - from façade, to structure, and to interior design - to ensure our customers get a true sense of space in the VR display village." "We can’t wait to roll this out across future communities," Costelloe concluded. Image: A Porter Davis home that can be viewed on a virtual reality tour of Rathdowne. Supplied by Villawood Properties. Planning minister praises "wonderful initiative"
At a recent event for the project’s stakeholders, Victorian Minister for Planning, Richard Wynne, welcomed the initiative as an example the innovation and global culture that defines Victoria. “This is a wonderful initiative that will give Victorians a better sense of the communities where they are hoping to buy land and a home where they can raise a family," said Wynne. "There’s no simple solution to improving housing affordability, but the Victorian government is unlocking lots of land to drive supply, cutting stamp duty on eligible homes and doubling the first-home owner grant in regional Victoria to help more young people achieve their dreams of homeownership," he said. Home-buyers will have their first access to the revolutionary technology from 12pm-5pm on Saturday 14th April, at the newly-refurbished Rathdowne sales office located at 430 Craigieburn Road East, Wollert. Villawood will welcome visitors with an 'urban high tea', featuring bespoke macarons from La Belle Miette and custom-created Greek donuts from Honey Dee. There will also be an array of interactive entertainment, including 'Mind Art' (which creates artwork from brainwaves), a greenscreen photo booth, and the Kiss FM street teams. A representative from each builder will be available at the launch to answer questions about the home designs, and with exclusive promotions on the day. 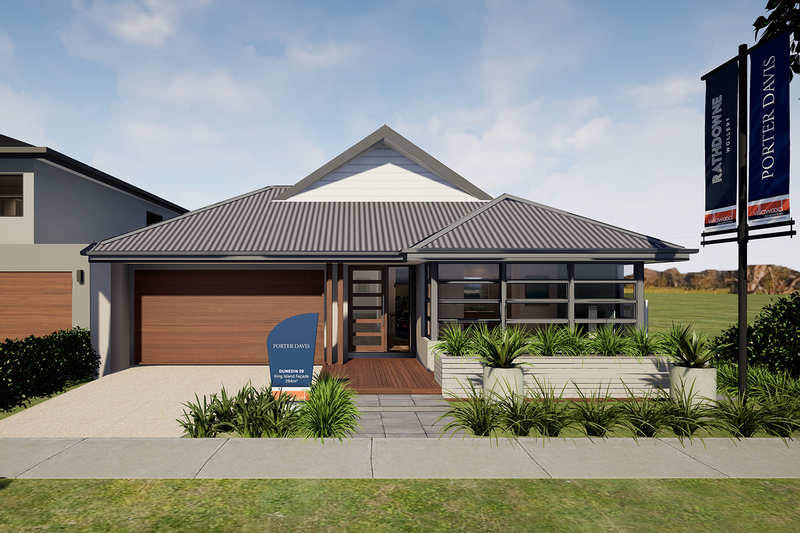 Click here to find out more about the virtual display village and launch event running from 12pm-5pm, Saturday 14 April at the Rathdowne sales office at 430 Craigieburn Road East, Wollert. Find out more about the Rathdowne virtual reality display village and launch event.